An outsourcing specialist is helping a digital print finishing equipment manufacturer achieve major production efficiencies and boost capacity to cope with an increase in sales. Cheslyn Hay-based PP Control & Automation has been working with ABG International for more than nine years and in that time has contributed to the Bridlington-based firm increasing turnover by nearly 50 per cent. 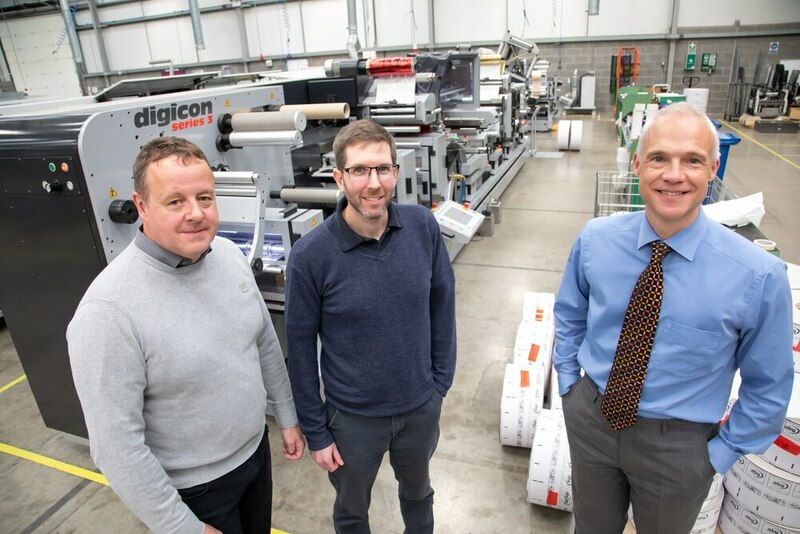 The expanding business, which employs nearly 350 people across three plants in the UK and Germany, has tapped into PP’s expertise in connectivity to reduce lead times and, importantly, create the platform to scale up to producing 250 digital print finishing machines in 2018. “We operate in very similar ways and, once we had seen PP Control & Automation’s capabilities at its world class facility, we knew there were lots of synergies and a relationship to forge,” continued Phil Robson, operations manager at ABG International. Tony Hague, chief executive of PP Control & Automation, said: “Once we had come up with the enclosure design, we then started considering the cable harnessing and the interconnectivity around the machines. “It became apparent that a modular approach would be a lot more effective and we worked together to design a process that would see the modules assembled in the West Midlands. ABG and PP engineers took just six months to redesign the controls architecture into the new modular format. This gives the end customer a huge amount of flexibility when specifying the exact machine requirements they need, whilst ensuring ABG is not having to redesign constantly, rather selecting and configuring modules in a manner that provides a bespoke solution to the user. In fact, the East Yorkshire business can now offer over 20 different configurations on its Digicon 3 platform. Mr Robson said: “Full interconnectivity solutions being designed/ introduced and creating a ‘plug and play’ scenario not only speeds up initial build, but also supports very efficient machine commissioning in the field - allowing machines to be up and running more quickly on site. ABG International is the world leader in digital finishing equipment that produces high quality labels and packaging for 2500 customers across the world. It manufactured 250 machines in 2018, with plans in place to increase this to 300 as more firms adopt the many benefits of digital printing. “Digital print is taking over from conventional printing, so we anticipate the market to expand rapidly over the next decade,” added Mr Robson.